After our first night in Las Vegas, we all woke up early to visit on of the seven natural wonders of the world, the Grand Canyon. The Grand Canyon is over 270 miles long and has been carved by the Colorado River for millions of years! This national park offers breathtaking views of one of the most awesome landscapes in the world. There are multiple ways to experience the canyon. For our tour, guests could choose to either visit the South Rim, which is included in the standard tour package, or to opt for visiting the West Rim for an additional admission price. The West Rim is recommended because it doesn’t take as long to drive to, meaning that visitors would have more time to spend at the park. 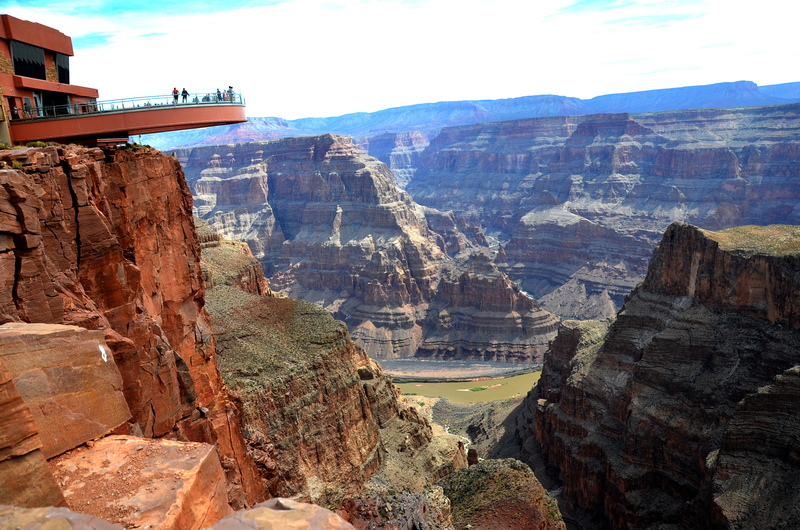 Other options you may consider investing in are an admission to the Skywalk, or a helicopter ride, both offered at the West Rim location. 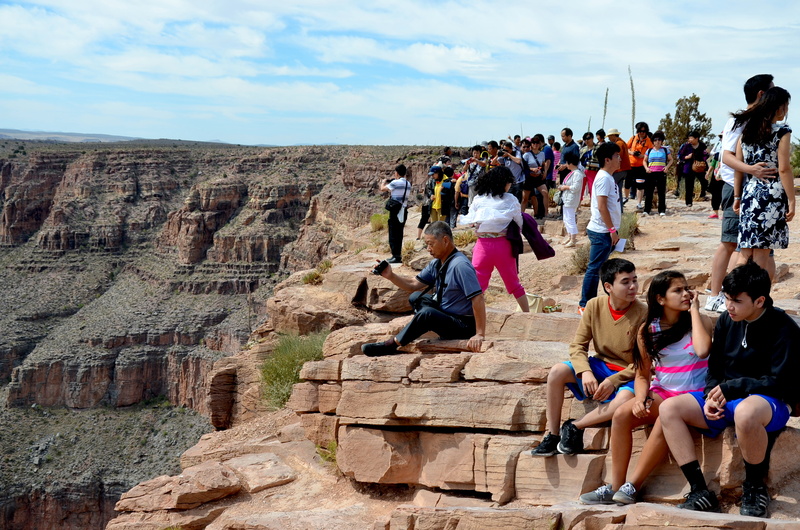 The West Rim also has 3 other viewing areas that you can visit without paying anything more than admissions. Guests that signed up for these additional options were very impressed, especially with the helicopter ride, which takes you to the bottom of the canyon and includes a cruise on the Colorado River. 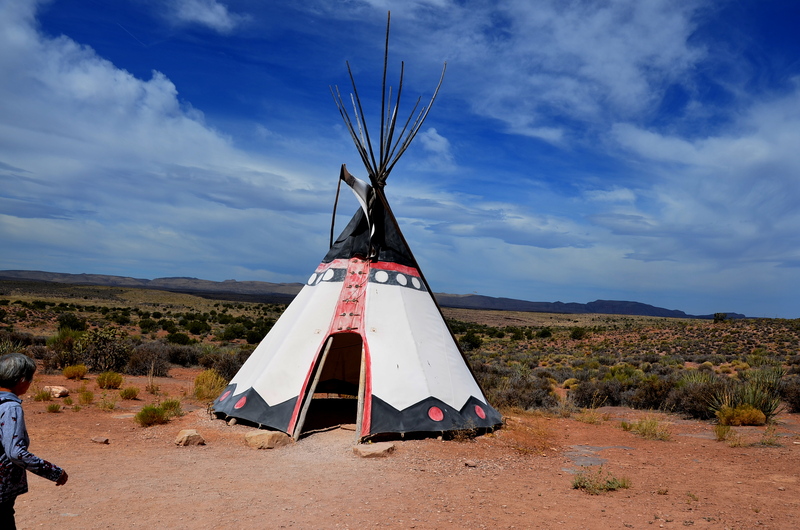 If you are interested in Native American culture, the Grand Canyon is one place to learn about it. The West Rim is owned and operated by the Hualapai Tribe. 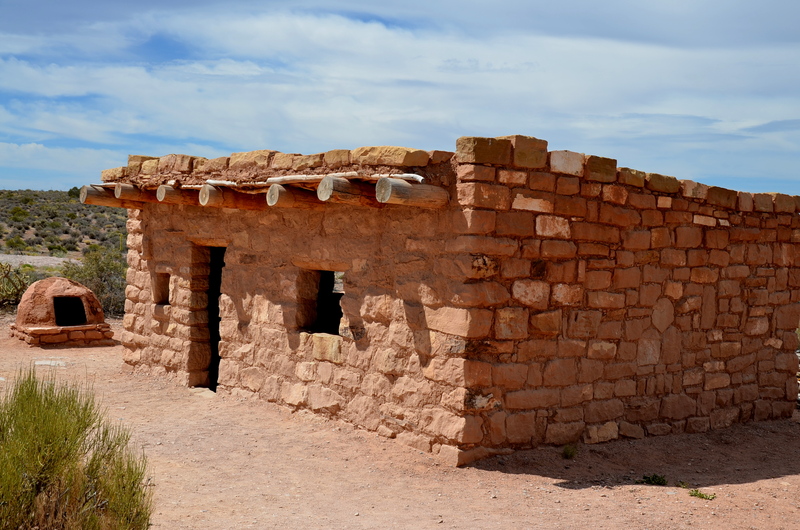 You can buy Native American items, view a display of a Native American village, and even try a Native American meal at Guano Point. With an admission ticket, each guest can receive a certificate from the gift shop signed by the Hualapai chief. All in all, the Grand Canyon is one place that is truly unforgettable. After seeing this famous National Park, our tour bus took us back to Las Vegas. But first, visitors who went to the West Rim got a chance to stop by Hoover Dam, located on the border of Arizona and Nevada. 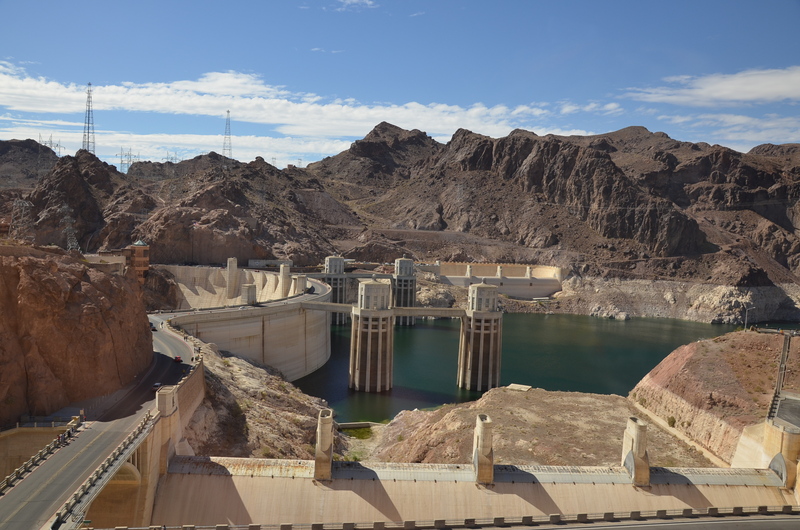 The Hoover Dam was constructed in the 1930s and impounds the nations largest reservoir, Lake Mead. This entry was tagged arizona, grand canyon, hoover dam, nevada, travel. Bookmark the permalink.